Last week, I was invited to Design Reboot with DesignSingapore Council that shared with us the principles of design in our own line of work. 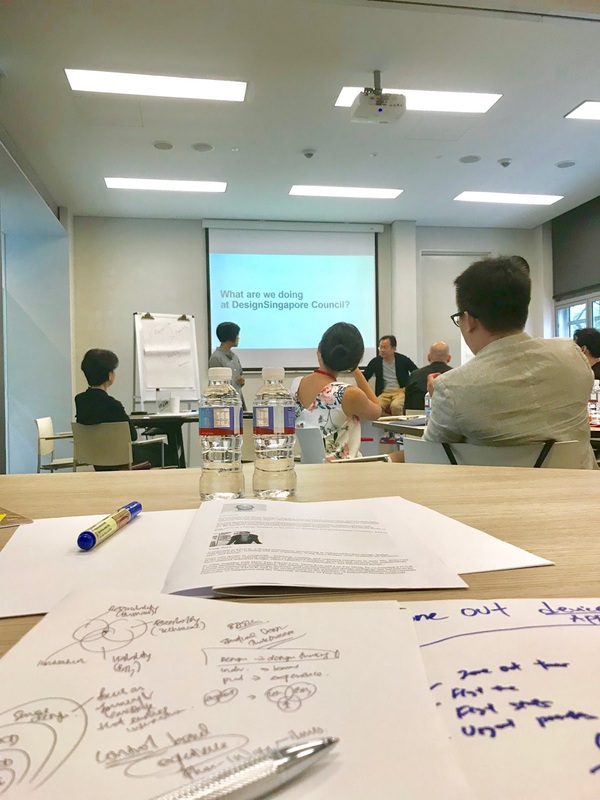 The design immersion that was led by DesignSingapore's incoming Executive Director, Mark Wee, had us interacting with industry experts on service and experience design. I find it very enlightening because prior to this, when people tell me that they are a designer, all I thought of were shapes, colours, size and anything that has got to do with aesthetic appeal. We probably took it for granted and fail to appreciate that design encompasses many facets of problem solving especially in the building of infrastructures, giving instructions and inventing automation. Accordingly, as the name says, design thinking is merely about putting in a functional yet thoughtful approach in design for the convenience of individuals and community. One of the many interesting sharing was by Dr Wong Sweet Fu, Chief Transformation Officer at Khoo Teck Puat Hospital (KTPH) who had tremendously transformed the lives of our golden agers in many tremendous ways and this may be as simple as puting a ramp on kerbs for wheelchair accesiblity or getting them together to socialize. The first principle of being empathetic in design thinking is imperative to ensure that the services at Khoo Teck Puat gel well with their business ethos. KTPH also has an initiative that allows the senior citizens to communally gather, have a shared interest in health and keeping up with the kampong spirit. These spaces are specially built with amenities functional for its demographics and its aesthetic appeal was also taken into consideration. It is equally important even if it is for the old folks it as it gives a sense dignity to their whole project. I am no designer but I could be one in my own game. Just as this medium that has been around for ages, it has to be redeveloped empathetically according to my readership. Then, applying the remaining principles of design thinking. Hopefully it would be able to satiate my readers in a more meaningful way. Hope you benefit from this new knowledge as much as I did! Consider this, how can it be applied in your studies and career?